The key to any successful medical practice is having an effective marketing strategy. In order to do this, you need to be aware of the challenges you may face in maintaining steady patient traffic throughout the course of the year. While it may seem overwhelming, these challenges can be easily solved with the right plan. Below are the 5 most common healthcare marketing challenges. Differentiating your practice from the competition: What does your practice offer that differs from local competition? Are you up to date with the latest in medical care and technology? If that is the case, is this information available on your website and social media pages? If not, you may be missing potential patients. Building a recognizable brand: Does your website and social media show consistent brand imagery? The content you post will determine how your audience sees your practice. Our advice is to make sure that whatever you post is consistent with your practice’s identity across all channels. Promoting positive patient reviews: Positive reviews can be helpful in attracting new business. Making sure your office and provider’s profiles are claimed, allows patients to review their experience. Studies show that having no reviews can have the same effect as poor ratings. There are strategic marketing tactics you can employ in order to promote your happiest patients to review your practice online. It is also important to be prepared for negative reviews. Knowing how to respond to a negative review that will not only assist in fixing this situation, but to convey to prospective patients your commitment to patient happiness and care, can make the difference between a prospective patient booking an appointment or not. A common thread for all of these issues is that they can be time-consuming hurdles. 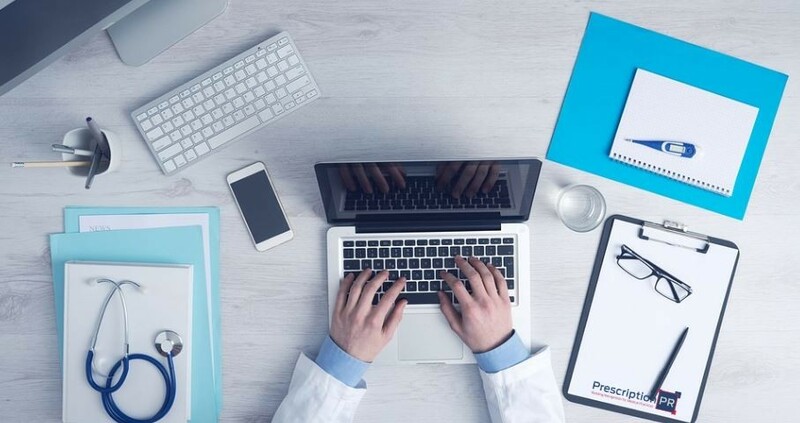 Since time is money, placing these problems in the hands of healthcare marketing professionals will help you effectively tackle these challenges. If are looking for assistance with marketing, Prescription PR can help. We understand the challenges that physicians face and use that knowledge to create a successful marketing campaign. For more information, email us at info@prescriptionpr.com. We look forward to hearing from you!